GRAND RAPIDS October 10, 2016– Any residents needing food assistance this month can stop by First Community AME, 500 James St SE in Grand Rapids on Thursday, October 20, to pick up several pounds of fresh produce and baked goods. The food truck, sponsored by west Michigan union members, will open to the public at 4pm. 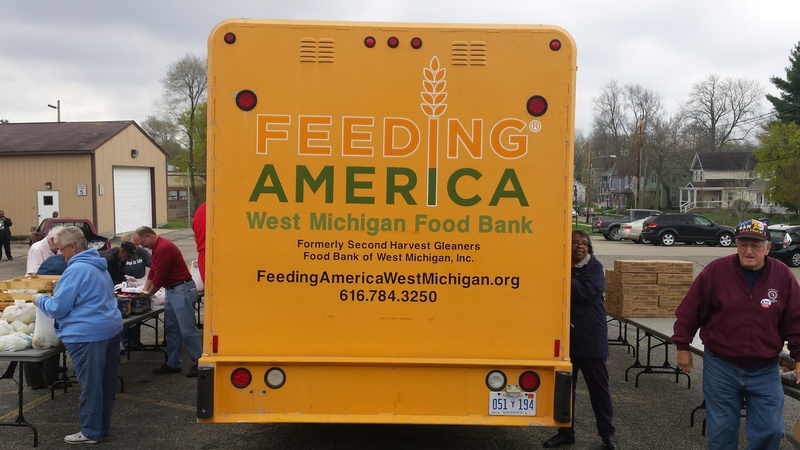 This entry was posted on October 10, 2016 by WMALC in Community service news and tagged Feeding America, First Community AME, Labor Heritage Society of West Michigan, United Way.